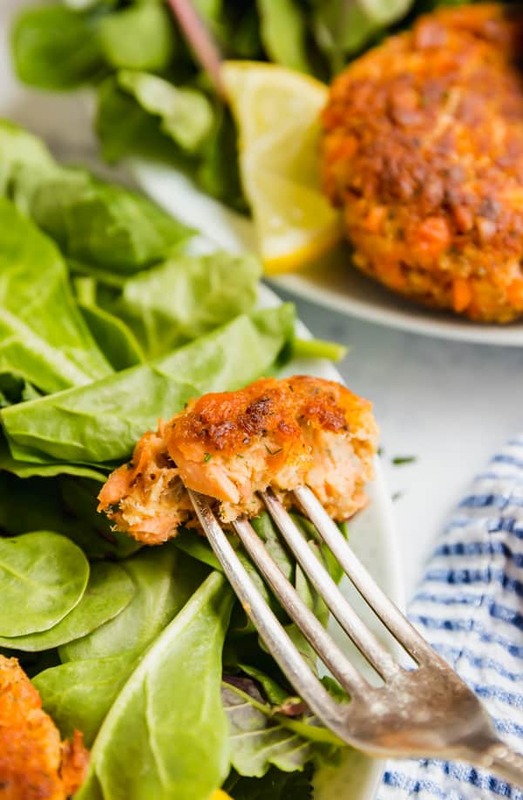 Salmon Patties are a tasty light lunch and are great for brunch with the family! They’re quick and easy to make and offer an excellent way to use up leftover salmon. 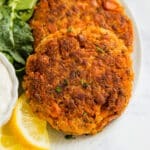 In my annual survey, I had a few requests for a Salmon Cake recipe as well as a request for ways to use leftover salmon. So it became obvious that it was time to cook up a good Salmon Cakes recipe. And I’ve done just that! 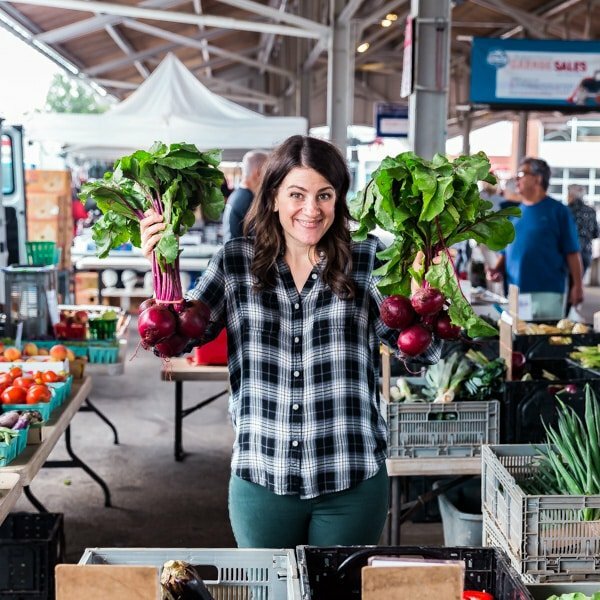 I love how this uses ingredients that we all have around our home in the pantry and fridge. 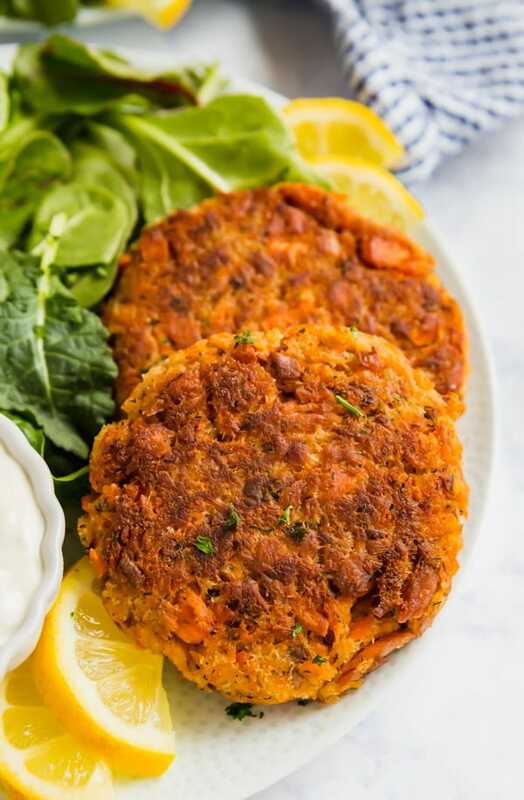 And these aren’t Salmon Patties where they have a ton of filler and minimal fish; these are filled with a ton of fish and just enough filling to add delicious flavor and texture. This recipe uses 1 1/2 cups of cooked salmon that has been shredded. This amounts to around 1-2 salmon filets (depending on the size of the filet). Be sure to remove the skin before shredding. If you’re starting with raw salmon, you can season with olive oil, lemon, salt and pepper to taste and bake for 15-20 minutes at 400 degrees and cool completely. When you form the patties, be sure to pack them tightly and try to keep them at the same thickness all over (around 1/2 inch or a little less). I gently push in the edges as well to try and prevent them from coming apart during cooking. Make sure the oil is super how before adding them to the pan. I generally rotate them once or twice during cooking so the whole side is evenly browned. Be gentle when turning them so they don’t come apart. When you remove them from the pan, place them on a paper towel-lined plate to remove excess grease. How long do salmon patties last in the fridge? Up to 3 days covered in the refrigerator. 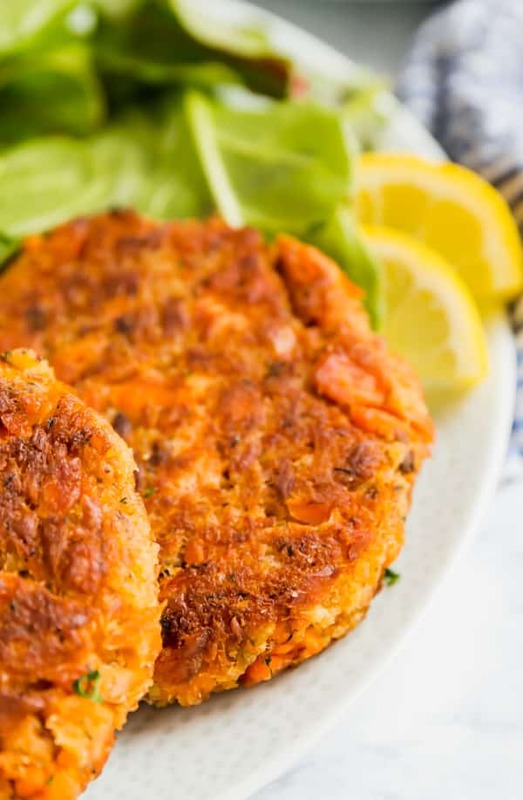 What’s the best way to reheat salmon patties? In the oven or the microwave. 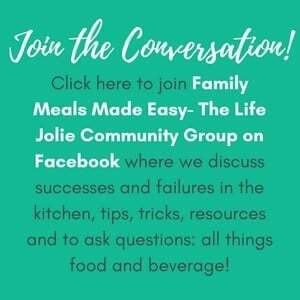 How do you serve salmon patties? I like to squeeze a little more lemon juice over the top and serve with tartar sauce. 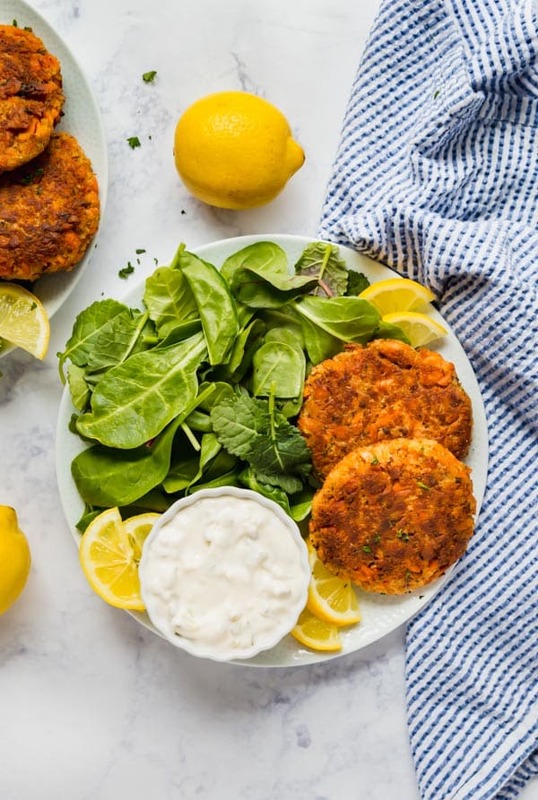 Can salmon patties be frozen after cooking? Yes, in a single layer on a parchment lined pan before transferring to a zipper bag. That said, I think they’d be better frozen before cooking. Be sure to thaw before cooking. Can I use canned salmon instead of salmon filets that I’ve cooked? 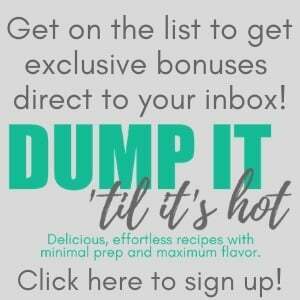 Yes, although it’s not as flavorful. Each 4 ounce can contains 1/2 cup of meat so use around 3 cans and drain them well. How many patties does this recipe make? This recipe makes a total of 4 patties or 2 servings and can easily be doubled or tripled for a crowd. 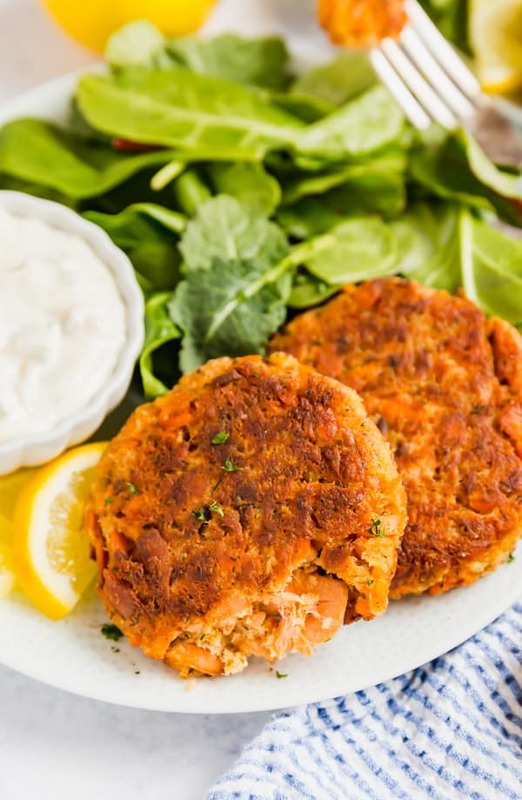 Salmon Patties are a tasty light lunch and are great for brunch with the family! They're quick and easy to make and offer an excellent way to use up leftover salmon. 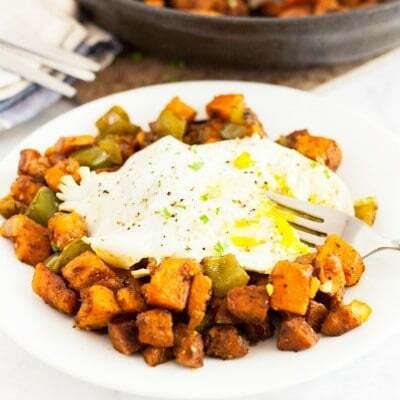 Place all ingredients except for the oil and tartar sauce in a mixing bowl and stir until well combined. Divide the mixture into 4 portions and shape tightly into 1/2 inch patties. Heat 2-3 Tablespoons oil over medium high heat in a large sauté pan. Once oil is hot, add patties to the pan. Cook for 3-4 minutes per side until nicely browned, rotating if necessary for even cooking, turning once. Remove patties to paper towel-lined plate to drain excess oil. Serve immediately with lemon wedges and tartar sauce.